This year has seen many events. There are many themes – political, social, economic, environmental – the world has experienced an eventful year. Personally, I continue to live in a series of life-changing events all of which were designed to give me the comfort of Conqueror lifestyle. God is ALWAYS GOOD. On this day everyone will, in one way or another, find themselves reflecting on 2011. It’s part of the process in the celebration of a New Year. Celebration takes on many different forms. I love a good party with good music, dancing, laughter and an atmosphere of gratitude. If I search in the world I could find it in a club……….or I could find it in a “house party”………….. . The world has conditioned us to have a certain expectation on how to “bring in the New Year.” We do it and it does what it does. Life goes on-we hope. Philippians 4:4 Rejoice in the Lord always. Again I say, rejoice! 4:5 Let everyone see your gentleness. The Lord is near! 4:6 Do not be anxious about anything. Instead, in every situation, through prayer and petition with thanksgiving, tell your requests to God. 4:7 And the peace of God that surpasses all understanding will guard your hearts and minds in Christ Jesus. 4:8 Finally, brothers and sisters, whatever is true, whatever is worthy of respect, whatever is just, whatever is pure, whatever is lovely, whatever is commendable, if something is excellent or praiseworthy, think about these things. 4:9 And what you learned and received and heard and saw in me, do these things. And the God of peace will be with you. As for me, I will find the party in a worship service at my home church here in Atlanta where I will freely engage in a corporate spirit of praise for all He has brought me through in 2011 and ALL that He has provided for me, prepared for me, purposed for me and I can appreciate them all when I THINK ON THE GOOD! Many people are blessed and experienced a bountiful Christmas season. It included good food, nice gifts, fellowship with family and perhaps even some “christmas cheer”. In this arena of experience, even if you have an expectation for a special gift, whether you got it or not, you enjoy the overall atmosphere of the season. What a blessing it is when the commercialism of the season causes the spirit of gift giving. Gift giving is a phenomenon that brings with it great tidings of joy, love and hope. That is the central theme of the birth of the Lord and Savior Jesus Christ. It is a good time and it propels us towards “mountaintop” moments. When all is well in your world and the goodness of life is holding ground, what is the dominant emotion for you? Joy or Happiness? Then there are those who have had the blessing of being in the valley over the course of this season. The characteristics of this season are on polar opposites of the description for mountaintop moments. However, consider for a moment the emotional experience. For anyone that is in need -of family, job, food, clothing, shoes, shelter, healing, etc….. – the dominant emotions that are most revealed are fear and anger. Fear because the needs present overwhelming pressure with limited resources and the questions “How……?, Why……..?, Maybe……..?” Anger because the ongoing regrets and guilt associated with the onset of the valley experience, plague you with the statement “If only I……..!” So then, why is this a blessing? It is more complex to have a faithful outlook when times are good. It’s like an airplane soaring through the sky on “auto-pilot” at 38K. The weather is lovely and the flight is smooth. Once you get to that place of cruising and all is well, faith goes on cruise control. But when the storm comes and the pilot realizes that he needs to disengage the mechanism of cruising and engage his flight training and expertise to reach his destination unharmed by the storm, the awareness of danger changes the atmosphere in the cockpit. They are manning their stations with planning, action is taken step by step and there is a unified presence among them. Yet the storm is more powerful and the plane is forced out of the sky and hits the water. All of the skills in the world could not stand up against the power of the storm. A faithful outlook is required. When you are reliant on your own abilities, accomplishments and achievements and the valley experience is not improved, what do you have left? I hope the answer is faith. Faith is the substance of things hoped for; the evidence of things not seen. 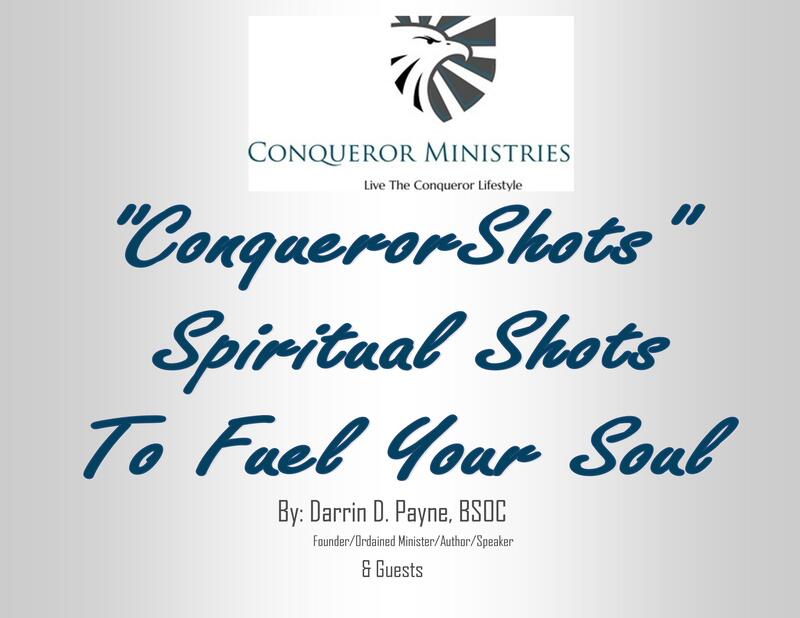 If you are going to be a CONQUEROR and maintain a “more than a conqueror” lifestyle, faith needs its proper daily requirement of God’s word, just like your body needs air to breath. Faith in the valley begins when you acknowledge that God put you there. His omniscience prevails in our valley moments. His omnipresence comforts us and reminds us of His word. His omnipotence is the blessing I referred to earlier. The valley is designed by God for us to have the experience of “seeing God in action.” While there are many other benefits to the valley season, let’s reflect on just how this “power” works and why it is a blessing. When you got into the valley and the overwhelming presence of the circumstances slapped you across the face and you did not know how to breath because of the pain- faith stepped in because you did not hit the floor and die. You remained present even though fear and anger set in. You got up and continued on the designated course. Then when the odds were stacked up against you and you could have succumbed to the pressure and lost the sight of your purpose, you did not give in. You stood there, accepted the circumstances and stayed focus on the hope of realizing the goal of your destination. As the situation became painful because of the conditions you were forced to endure and your body began to suffer miserably, you persevered through all of the adverseness and stayed the course having a spirit of forgiveness for the sinister players in the matter. Then you died Jesus. You experienced the agony of the valley to the point of death. The designs of your death demanded the power of your resurrection. It is that very design that continues to work in our life. That same power continues to bring us up out of tumultuous circumstances. When you have Faith in the Valley you are initiating the opportunity for God to have the same affect in your life. There are so many things that I can think of that I want – a new car, a new condo, all of my bills paid in full, restored relationships, new relationships……….. – and if I were to give these “wants” too much attention I can easily get distracted from my reality. Distractions are designed to create confusion in my life. Can you think of a time when your focus was re-directed because of a distraction? They come in all forms – personal, professional, social, and most of all spiritual. Distractions can be subtle too. Especially in the area of my personal and professional lives, I can recall on numerous occasion where I was engaged in situations that were purposefully designed to distract me from what was important. At the point when I realized the distraction, the affects were already in place. I know I am not the only one with this experience. Am I? So I have come to realize on the Eve of this Christmas day in 2011 that the best way to avoid the pitfalls of distractions is to want what I have. That implies a personal understanding of my assets and my liabilities. Overall, an assessment yields the results of personal reconciliation between the two and I am in a balanced relationship with my life and the Creator of my life. Now does this mean that I do not want to work towards improvement? God forbid. If I am not realizing change in my life that means that my life is non-existent. You know you are living, and how you are living by recognizing the changes that are at work in you. Other people are watching and God is watching. Therefore, you should be the spectator in the first row, in the center aisle occupying the center seat. Next to God, you should have the best seat in the house. Consider the obvious. The climate of the environment dictates the season of the environment. Climates change and seasons change. Imagine if you woke up to the same climate every day for a year. All of my East Coasts readers may actually like that after dealing with cold winters over a course of time. But the point is life would be mundane if every day was the same climate and the same season. The changes in the environment offer us new outlooks, new insights, new experiences…….. This is why I would not be content living in Aruba. It is a beautiful island but I would get bored with the same climate day after day… I think! I watch my television shows and there are constant advertisements to make you want to shop for something – clothes, shoes, jewelry, toys, electronics and even food. It’s everywhere. This time of year has become so severely commercialized that we as a nation have lost touch with its current financial structure. 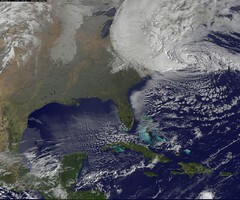 Devastation presides throughout the Eastern seaboard. Citizens are hungry, cold, destitute and overwhelmed with loss. The nation is in unprecedented debt, homelessness and poverty are at record highs, unemployment is ravaging the homes of Americans who are splitting up for various reasons – drugs/violence/pursuit of individual career opportunities/crime/suicide – and it goes on and on. Yet, Madison Avenue is doing a great work at pushing product. People are shopping in droves. Not all people. There are many people that are not able to even begin to understand how they are going to make it through the day. Whether their dilemma is of a socioeconomic origin or not, what is a fact in this great nation is this: people are loosing everyday during this holiday season. How do you appeal to them during this huge commercial event that is sweeping our nation? Do you just ignore the fact that they exist? Do you count your blessings, focus on your “haves” and forget about the “have nots”? Or, do you do anything and everything that you can to make a difference within the lives of this large sect of Americans. I pray that you are in agreement with the latter. The essence of reality in these scriptures is that EVERYTHING you can put your hands on or get your hands on is HIS. Working a good job, managing a thriving business or incurring a comfortable lifestyle is possible because of Him. Too many people get that twisted. If you want to experience maximum gains that are ETERNAL it begins with a decision. Mar 8:35 For whoever wants to save his life will lose it but whoever loses his life for my sake and for the gospel will save it. Mar 8:36 For what benefit is it for a person to gain the whole world, yet forfeit his life? Mar 8:37 What can a person give in exchange for his life? Conquerors make a difference in the lives’ of others any way that they can. Loss is gain. When I was a child I loved to eat tootsie rolls and Swedish fish. I would go to the corner store or Mr. Buddy’s and get me some penny candy. A quarter would get me enough for myself. $.50 was enough for me to share with my friends. I loved to eat that candy. When I became a teenager I did not eat candy that much and even today I don’t eat candy often. However, I graduated to eating cakes, pies, cobblers and cookies. That is my weakness. I have learned to modify the quantities so that I am not killing myself through hefty indulgence. But I love well-prepared, home-made desserts. Oh, and then there is the occasional indulgence for ice-cream. Lord knows that is a “guilty pleasure.” Umm umm umm!!!!! Yesterday, I participated in a fund raiser and I baked cookies for the first time. To my surprise I have good skills in this area of food preparation. The event was not well publicized and we did not have a steady flow of patrons. Yet the ones who did buy and eat the cookies in my presence, they all seemed to really enjoy them. There was one patron who actually ate one in front of me and ended up buying 4 more. There was mild over-indulgence going on. The idea for this entry came to me during a particular exchange yesterday. A lady was eating the cookies and she said now this is a sweet gift. ” I could buy these and give them out”, she stated. However, she hesitated because of her concern about eating them all herself. That got me to thinking. She coined my cookies as a “sweet gift” because of the pleasure she got from eating them. The reason for my love of sweets is because of the instant gratification I get the moment that food hits my tongue. My love affair for sweets is in effect at that moment. There are times when it is so good I don’t want to swallow – but I have to so I can eat some more. When it is good – the more I get the more I want. During this holiday week ahead, it is really important for me to realize I have the “Sweetest Gift” of all – JESUS CHRIST. I was introduced to faith in Christ at an early age. It was good for me to have the knowledge of Christ and my Salvation early but it was also a hindrance. I took it for granted. I thought that because of my salvation I was free to do whatever I wanted, whenever I wanted and however I wanted and I would still go to Heaven. No one could separate me from the love of God and nothing could make me loose my salvation. That type of “spiritual irrationality” kept me sin-sick for MANY years. I needed to have the experience where the knowledge of salvation begins initiating a desire for my salvation spiritually. Knowing about Christ is not enough to live a victorious Christian life. Conquerors, walk by faith and not by sight. Faith comes by hearing and receiving the Word of God in your spirit – not in your mind. Whenever the Word of God is heard and processed in the mind it is on the same basis of acquiring knowledge from any literary or reference source. We read and hopefully comprehend the material. While comprehension happens in the mind, the spirit of man is not necessarily influenced by the words – only the soul. The new life begins as the information travels from the head to the heart. Some say that distance is further than a trip from NYC to LA!!! You thought you were going to get a check in the mail that would be used to buy groceries for the family. The check does not come. You are tempted to call up the issuer and “bless them out verbally” but your spirit moves you to turn the problem over to the Lord in prayer instead. You may even cry over it to the Lord in prayer. Afterwards, during the continued course of your day you notice a flyer that is in your mail. It informs you that there is a free ham and groceries for a week and a $50.00 gift certificate available for you if you go to the location at a certain hour. The sweetness of your Savior is manifesting. Then you get there and to your surprise there is no line. You just walk in and get what the flyer advertised. However, in addition to the expected outcome there is an additional bounty of goods that is more than what you could have even imagined. The sweetness is now making you have visceral responses – praise in your mouth, hands, feet, etc. Then you get home and begin to put the free groceries away and someone starts knocking on your door. One of your neighbors comes by to hand you mail that mysteriously showed up in their box. You thank them and close the door. On your way you discover that the check is there after all. NOW THE SWEETNESS IS OVERWHELMING!!!!!!! Jesus is the “SWEETEST GIFT” ever. Once you receive Him “for real for real”, He is the kind of gift that just keeps on giving. Just like I used to eat candy, and still enjoy eating desserts, I LOVE TO TASTE AND SEE THAT THE LORD IS GOOD. It is a blessed experience to have when you TRUST in Him. Remember to keep Christ in your Christmas celebration. Everyone wants to have a happy holiday season. Whatever your celebratory practice may be, you want the experience to be pleasurable. Let us not take our blessings for granted. I am shocked that there are record breaking shopping statistics this holiday season in the retail market but our national economic status is that of a recession. This implies that there are many people without work. If you are not working then money is scarce. So how are you shopping like there is a surplus of jobs, money and wealth nationally? Debt is dangerous. But people accumulate debt simply because they are motivated to give in order to have a pleasurable experience over the holidays. Consequently, some may even have such expectations on the receiving end. The commercial appeal that this holiday maintains is assuredly designed for the sole purpose of removing Christ out of Christmas. The season is destined for Joy when He is in His rightful place. Money does not determine this reality. May your holiday season be forever inclusive of the presence of Christ.